Colour-magnitude diagrams in Y,H for the globular cluster M55. 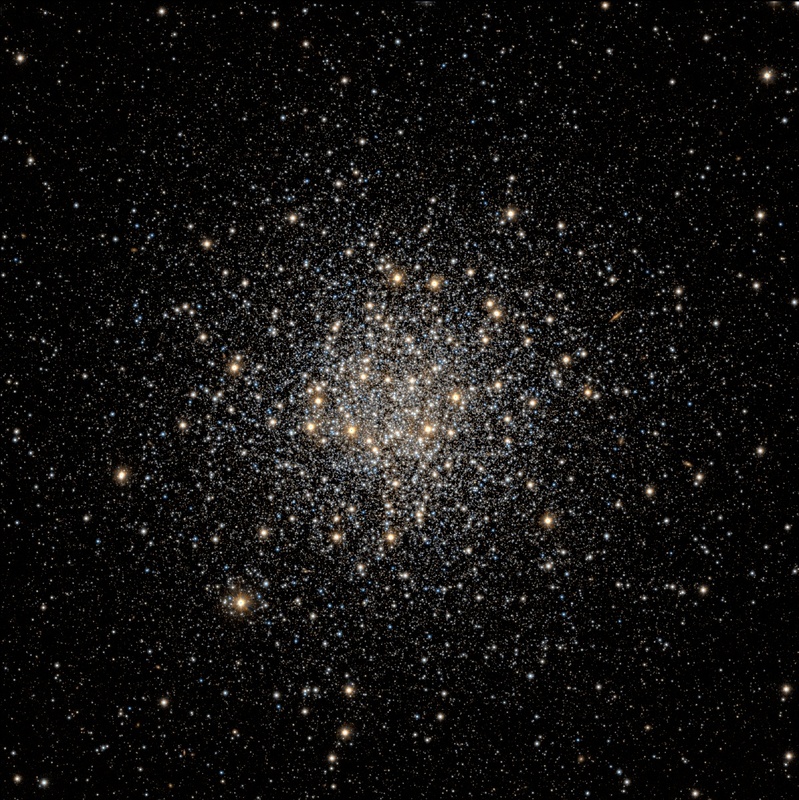 M55 Y,H CMD for objects within a 20' diameter circle centred on M55 and also a CMD for the "foreground" population (i.e. outside the 20' diameter circle) from same data. Saturation of stellar objects occurs at about Y=13.5 mag and H=13.0 mag. 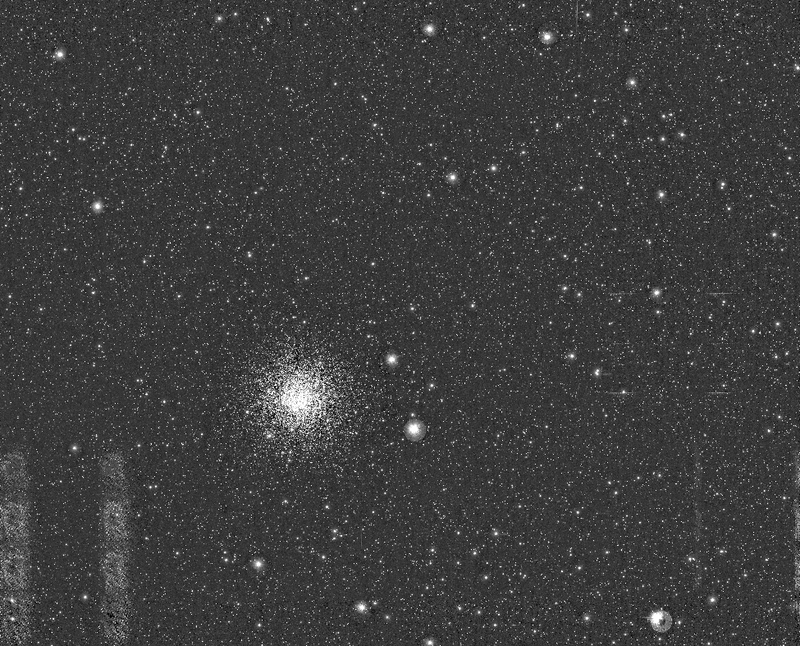 There is currently no Y,H CMD comparison data available for M55, nor any theoretical isochrones available to overlay, but the morphology is exactly as expected and the well-defiined RGB and extended blue HB gives a good idea of the quality of both the photometry and the calibration systematics across the region. The full Y tile (above) covering some 1.5 sq deg of sky, N to top and E to left, with the dodgy region from #16 readily visible at the bottom left, as is a small region from #4 on the far right. Also shown below a colour image centred on M55 made creatively from the Y,H bands. This a 15' x 15' region with N to top and E to left.